Most everybody will chip, crack or break at least one of their teeth at some point in their lifetime. You could bite down on some hard food, or you could experience an accident that damages your smile. Either way, you have a few options you’ll want to consider for repairing your chipped or broken tooth, so you can keep smiling with confidence. 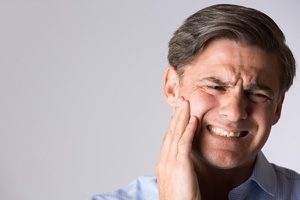 What Can Cause a Chipped or Broken Tooth? If any of these should occur, you should schedule an appointment with your dentist as soon as possible. Apply pressure with gauze if you experience any bleeding. Cover the tooth with dental cement (which you can find at most drug stores), especially if you can’t see a dentist right away. Your dentist will recommend a different treatment based on your individual case and the extent of the damage. If the scope of the damage is small, dental bonding is a simple solution that will repair your chipped tooth in only one visit. Commonly known as filings, dental bonding will fill in the absent enamel with a composite resin that is tooth-like. Overall, the procedure is painless and relatively quick. If you have multiple chips or breaks on the front of your teeth, porcelain veneers are one option your dentist might recommend. Here, your dentist will use thin shells of porcelain to cover the front of the teeth, filling in the chipped portion of the tooth. Larger chips or breaks may require a dental crown. Made of metal, a crown is built to be a long-lasting solution. Your dentist will be able to walk you through all your different options for selecting what type of crown is best for you. And with advanced CEREC “Crowns in an Hour” technology, you no longer need two-dental visits for your crown placement. After you’ve received treatment from your dentist, be sure to keep up with your regular dental hygiene routine to ensure your smile is in tip-top shape. If you have any chipped, broken or cracked teeth, please don’t delay in getting them fixed. At Dentistry at East Piedmont, we are here to help and happy to answer any questions you may have! Schedule an appointment with us today by calling 770.321.5558 or by filling out a contact form online to learn more.